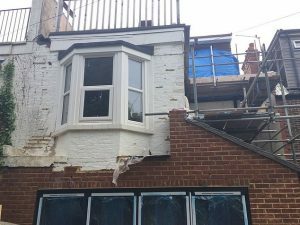 A Brighton building business has been accused of leaving unpaid debts of £300,000 and unfinished work at a house in Hove after taking a five-figure deposit. The business is run by Alec Bishop, 55, and his children Matt, 21, and Emma, 20. Alec Bishop is the older brother of Babes in the Wood murderer Russell Bishop who was jailed for life in December for killing Nicola Fellows and Karen Hadaway in 1986. The Bishops’ business has been accused of using “phoenix” tactics – with the owners placing one of their companies into liquidation before continuing to trade under an almost identical name. Their business practices have been highlighted in a report on the Mail Online news website and have been drawn to the attention of trading standards. The Bishops have set up six companies with near-identical names, two of which went into liquidation owing nearly £300,000 to creditors including the taxman. 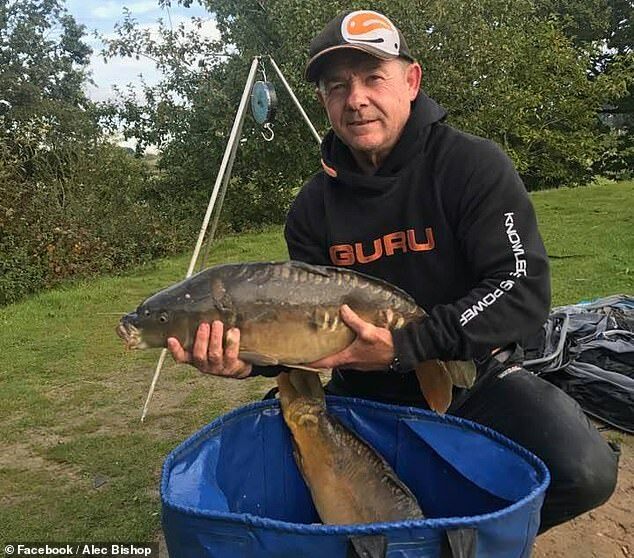 Alec Bishop and his children are now being pursued through the courts by a furious couple from Hove who handed over their life savings to one of their companies. But that company was put into liquidation without any building work being done, the couple said, while the Bishops set up a new firm and kept trading. In the course of one corporate disappearing and reappearing act, Alec Bishop even rebranded his company from AB Building to BA Building. He had his vehicles given a new livery simply using his own initials in the opposite order. Mail Online reported that Mr Bishop said that his firm had in fact carried out work to the value of £50,000 and disputed that his clients’ home had been left in a mess. But Simon and Emer Barry, from Marine Avenue, Hove, are locked in legal battles with the Bishops’ businesses and liquidators. They are trying to recoup tens of thousands of pounds paid in good faith for work which was never carried out. A High Court judge ordered one of the Bishops’ companies to pay the couple nearly £35,000 last September but in November Emma Bishop folded the business and the couple still have not received their payout. Simon Barry, 39, said: “At its worst we were living in a single room of a building site. We were on the first floor, with no roof on the top floor. In March 2016 Simon Barry, an airline pilot, and his partner Emer wanted to extend their home. They had a six-month-old baby and another on the way. Mr Barry said that he approached local café owner and builder Mark Nicholas to do a kitchen extension and loft conversion, eventually signing a £78,550 contract on paperwork headed “BA Building Developments”. 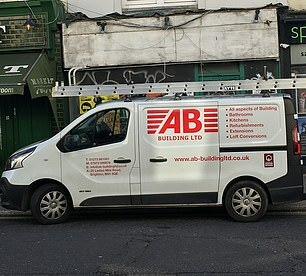 Tradesmen in vans marked AB Building arrived at his home the next day and began work. But Mr Barry’s father developed terminal cancer so the family had to travel back to Ireland to help care for the pensioner rather than stay in Hove and oversee the works. They returned a month later. Mr Barry said: “When I travelled back to the UK the house was a disgrace. Just the shoddiest workmanship. Shocked – and wary of dealing with Mr Nicholas, having already paid him more than £33,000 – Mr Barry turned to the owners of the business that Mr Nicholas said that he worked for. 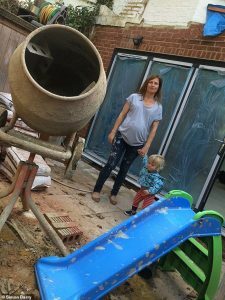 The family signed a new contract with BA Building Developments, a trading name of MA Refurbishments Ltd, for the outstanding £45,000. The contract was signed by the company’s listed director – Alec Bishop’s daughter Emma Bishop – and by Alec Bishop’s son Matt. But Simon and Emer Barry’s problems had only just begun. Mr Barry said: “They showed up four days after my father died, asking for money. He said that the roof of his home was not waterproofed, walls were left unfinished, floorboards were left up and wires were exposed. Gas pipes had been installed in a dangerous manner and plumbing pipes had not been properly laid. He said: “I was devastated. They’ve taken advantage of me – and my father’s illness. “They’re ruthless cowboys looking to make a quick buck and don’t care who gets hurt on the way. It’s been financially devastating. The family were living on the first floor of their home, with the ground floor practically uninhabitable and the roof upstairs leaking water. 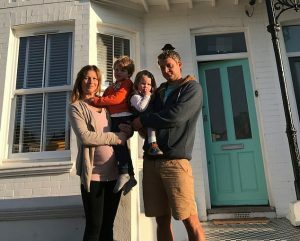 That summer Simon, Emer – now heavily pregnant – and little Cillian had to move into one room of a friend’s house in Brighton for many months while Mr Barry tried to find another builder. But no firm would take on the project and sign off on the previous shoddy work so he resorted to paying builders, carpenters, plasterers, plumbers, electricians and decorators himself to finish the project which is still not completed. The house was still covered in scaffolding by September 2017. Mr Barry said: “We still have a building site in our back garden even now – we were left with no money for two years. “I thought having a contract gave me a certain degree of protection but when you’re dealing with people who can fold on Tuesday and start another company on Wednesday, it gives you no protection at all. He took the firm, MA Refurbishments Ltd, to court and was granted a summary judgment in September but, in November, Emma Bishop voluntarily wound up the company and appointed liquidators – leaving the Barrys among several claimants to its assets. It is not the first time that family firms have used this tactic. Alec Bishop, his wife Angela, and their son Matt have all at various times been directors of Bishop and Sons Developments Ltd, founded in February 2003. The renamed that company BA Plastering Ltd in September 2011 then filed for voluntary liquidation in January last year. Companies House records show that the firm had an outstanding claim of £103,000 from Revenue and Customs and liability to unsecured creditors of £34,000. Meanwhile, the same three family members ran ABA Building and Plastering Ltd, founded in February 2012, but wound it up in December 2016 owing £153,000 to seven creditors. Emma Bishop is the sole director of MA Refurbishments Ltd which traded as BA Building Developments and ran from October 2013 until she wound it up in November 2018 shortly after a judge ordered the company to pay the Barrys. The couple are still awaiting their full payment. And Emma and her father Alec have been directors of AB Building Ltd, an active company, which changed its name at Companies House in May 2016 from AB Plastering and Building Ltd.
Alec Bishop is also listed as a director of two recently incorporated companies which are currently dormant – BA Building and Development Ltd, incorporated in October 2018, and ABA Building (South) Ltd, which was founded on Wednesday 6 February this year. 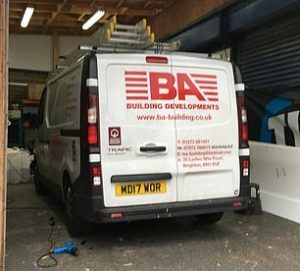 Their About Us page boasts: “BA Building Developments Brighton is a family-run business with over 30 years’ experience. 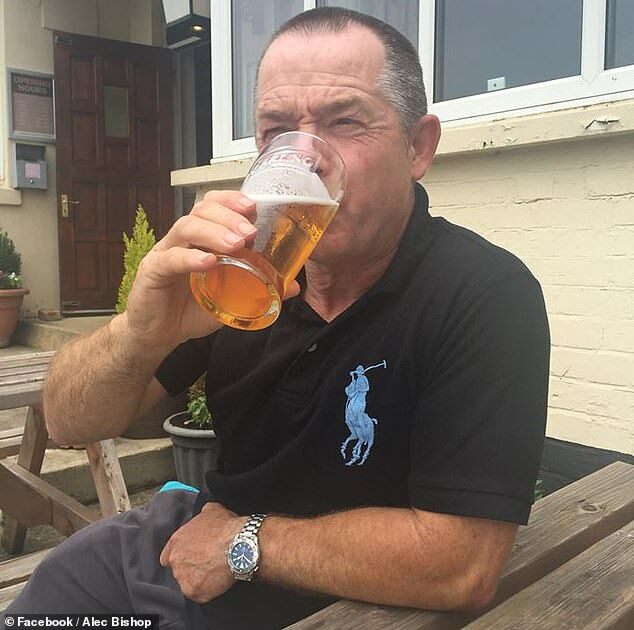 Mail Online reported that Alec Bishop told the website that his firm started at the property working for Mark Nicholas, working alongside other builders in Mr Nicholas’s employ. He said that they completed work worth about £50,000. 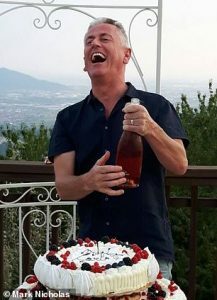 He said that when he started chasing an invoice for £30,000 it came to light that Mr Barry had paid Mr Nicholas £30,000 and also that the initial contract had been signed without his knowledge. He said that he reluctantly agreed to sign the second contract but warned the Barrys that his staff would not be able to return for several weeks. He said that the adjudicator visited the site in his absence and that “Simon technically owes MA Refurbishments approximately £20,000 if you go through everything”. He said that the house was not left in a mess or unweatherproofed and that the business had to fold due to the financial injunction that Mr Barry succeeded in obtaining which left it “crippled”. Mark Nicholas said that he “did not recognise the scenario” described in Mr Barry’s description of events. You are not alone. I have lived in a building site for twenty years because of unfinishedhed stairs, trenches, shoddy work, drains not working. Stones and foam where there should be bricks. Had to learn how to do repairs by reading building regulations and YouTube rather than get ripped off for tens of thousands again. Am out of pocket by 60k and have told my doctor no more surgery as have just given up. Do not have a home I could ever show anyone. Will not move again as too worn out.